The inspiration came partly from Chris Guillebeau’s blog The Art of Nonconformity. If you have never checked it out before, I encourage you to visit. He is a guy in his early thirties who has not had traditional employment ever in his life but has managed to make a living and travel to about 150 countries in the world. He lives in Portland and I think he deserves a role as an extra at the very least in the upcoming sketch-comedy series Portlandia by Fred Armisen and Carrie Brownstein. I owe a lot of credit to him, which is weird because I have never met or talked to him before. (And, in a final plug for Chris, I suggest buying his book. It costs less than $10 and would make a great gift for any twentysomething wanderer). 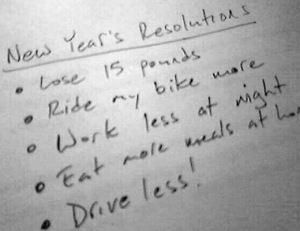 Anyways, back to what I meant to write this post about: New Years Resolutions. The problem, it seems, with most resolutions is that we create ambitious goals but do not create realistic plans or schedules on how to achieve those goals. Chris Guillebeau has an easy plan to change that. He calls it his Annual Review, and you can read about it here, here, and here. The most important step, even if it seems a bit over-the-top and mathematical, is to sit down for an uninterrupted chunk of time and decide what you actually want to accomplish or do in the coming year. Divide your goals up into different categories. Since most of us are still students, one category will likely be academics. Others may be extracurricular activities, hobbies, $$$ earned, health & fitness, relationships, and whatever else you consider a core part of your life. Before you look ahead, first recap your last year. Alright, those are just examples, but you get the idea. 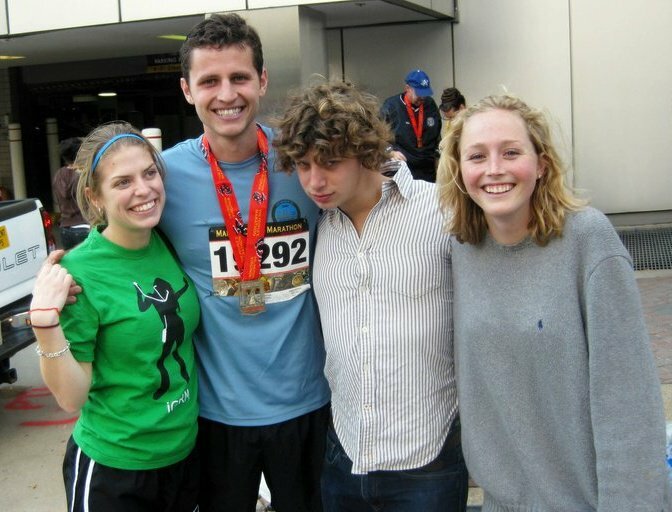 Running a marathon was, by far, the most challenging thing I did in 2010. I am not a great runner, and if you had asked me a year ago if I could run a marathon, I would have said that there is no way in hell. Luckily I’m impulsive, so when the signups for the Marine Corps Marathon came around in late March/early April, I made a spur-of-the-moment decision because I knew that it would fill up within days. When I took the plunge, I had not run for more than four months. I had never in my life run close to 26.2 miles, and I was worried that my recurring shin splints would prevent me from completing the race. Six months later, however, I completed the race and finished in the top 15% with a time under four hours. My actual marathon performance was hardly exceptional (I ran behind a guy who had written on the back of his shirt: I’m 60 and I’m ahead of you! [How’s that for a morale booster on mile 21? ]), but the six months of training prior to the actual race changed my life. #1: Change one habit at a time. Too often, our goals are abstract and broad when they should be measurable and realistic. My first goal was to run three times a week, regardless of the distance. With this tangible objective, success was easy to gauge. On the other hand, ‘losing weight’ is a terribly unclear goal. There are many paths to losing weight. Some are sustainable in the long-term, while others are too extreme or difficult to maintain. Instead of trying to simply lose weight, try changing one eating habit for a month, such as eating a salad before dinner or not eating after 8:00 PM. #2: Simplify. Workouts should be simple. Build meals using whole foods. I did not buy new running shoes until my old ones were falling apart. Don’t invest in newfangled workout equipment when you can build the same muscles and achieve the same levels of fitness without the equipment. The correct form for pushups, planks, squats, and lunges is all available online and would make a great beginning workout. #3: Make the first two weeks count. Many experts agree that it takes between 14 and 20 days to develop a habit. So, you are just two weeks away from developing a new habit that enhances your life and health, but these two weeks are often the hardest. #4: Publicize. Tell your friends or spouse, write it on your blog, or post it on Facebook and Twitter. Do whatever it takes to ensure that other people know about your goal and can keep you accountable. #5: Partner up. After you tell your friends about your goal, convince one or two people to join you. If misery is best shared, so too is accomplishment. #6: Review each Sunday. Create a very basic chart on Excel or a piece of paper. At the end of the week, record and assess your weekly activity. You can allow yourself exceptions throughout the week. Maybe you have an especially busy workweek or a planned trip to the Cheesecake Factory. Even the most conscientious eaters splurge for special events, but come Sunday, your weekly totals and averages on whichever metrics you choose to measure should not stray far from your goal. #7: Build in increments. You will not be able to do fifty pushups at once without doing ten first. Losing the first pound is as important as losing the last pound. For me, my long runs started at six miles. I then added just one additional mile to my long run each week. Depending on your goal, you could add just one additional pushup per session or one less dessert per week. #8: Enjoy the habit. Finally, and most importantly, you must enjoy your routine. This lesson was ultimately what made my training process memorable. Long runs became chances to see new parts of Washington, DC. I ran across bridges and along canals as the sun rose over the Potomac River. My confidence and energy increased, and I became much more aware of the limitations of my strength and endurance. Healthy habits, it seems, can bring profound happiness. My athletic-related goal this spring is to swim two miles in less than seventy-five minutes. Amazing post! Thanks for the props, and I’m so glad to see what you’re up to here. Congrats on a sub-4:00 marathon — that’s fantastic. All the best for an incredible 2011. Thank you! I just mailed off a copy of your book to a friend, and I hope some people click on the links and discover your site. Best of luck planning your summit and other adventures this year.